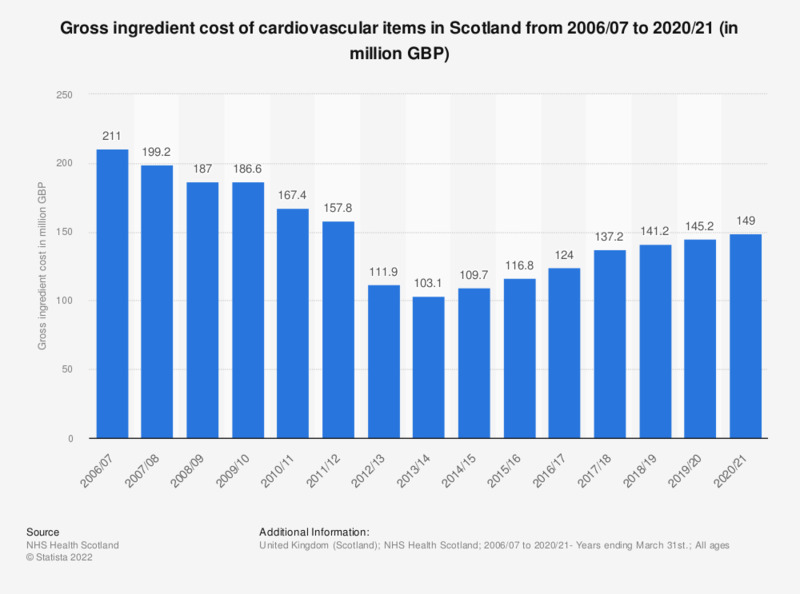 This statistic displays the gross ingredient cost of cardiovascular drugs and appliances in Scotland from 2006/07 to 201/18. In 2017/18 the gross ingredient cost of drugs and appliances before deduction of any discount was approximately 137.2 million British pounds. 2006/07 to 2017/18- Years ending March 31st. Cost of drugs and appliances before deduction of any discount. Ingredient cost figures have been rounded to the nearest million.